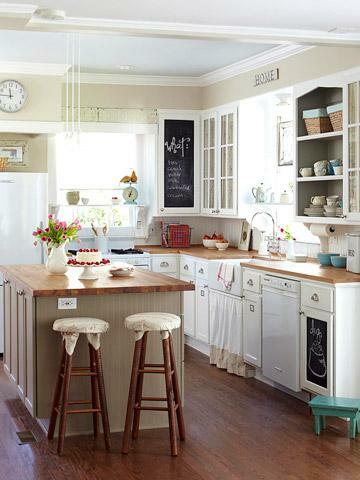 Country Style kitchens have changed and evolved a lot in the past 15-20 years. No longer do they require a rooster on the island or pine cabinetry. 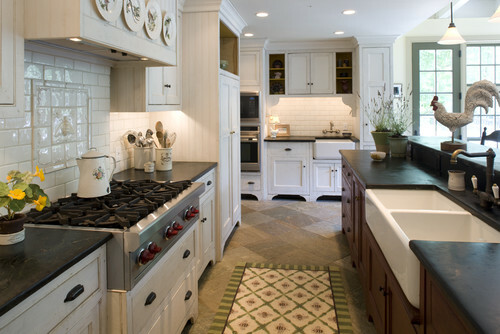 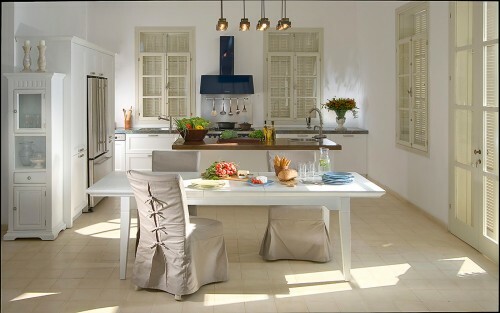 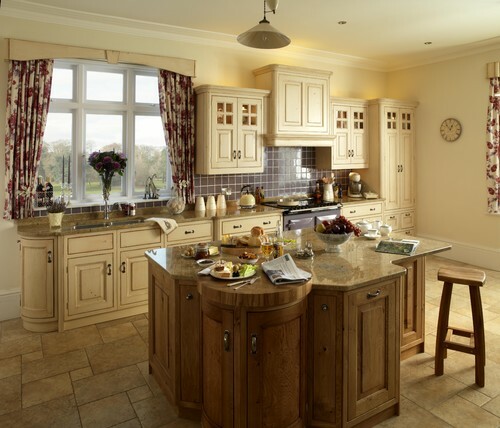 In real estate a Country Kitchen often is referring to the layout rather than the design. 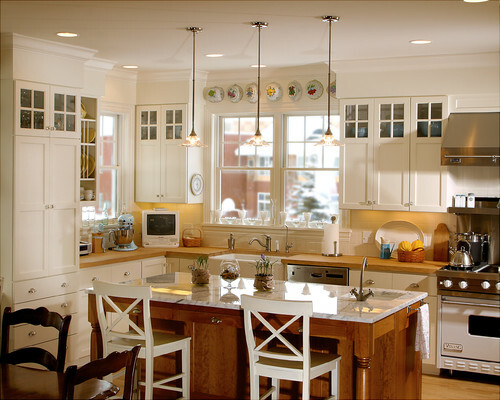 Traditionally, a Country Kitchen is open to another room (usually the family room) and often includes a breakfast nook and/or a center island. 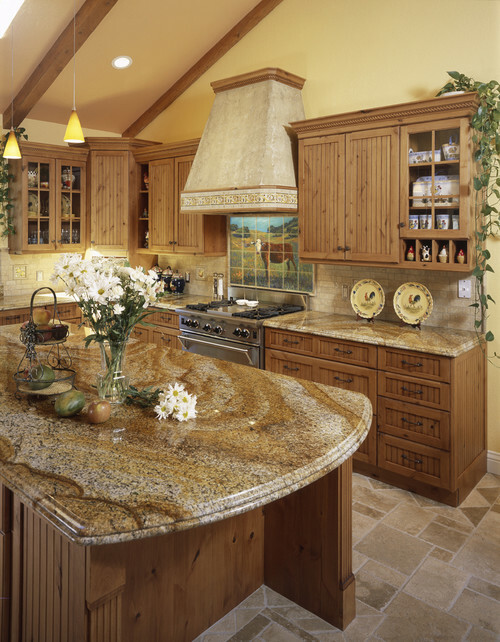 The modern/updated version of Country Kitchens that we are seeing now usually include a farmhouse sink, granite or marble countertops, a more rustic style backsplash (example: tumbled travertine) and lighter stained wood cabinets or painted cabinets (or a mix!). 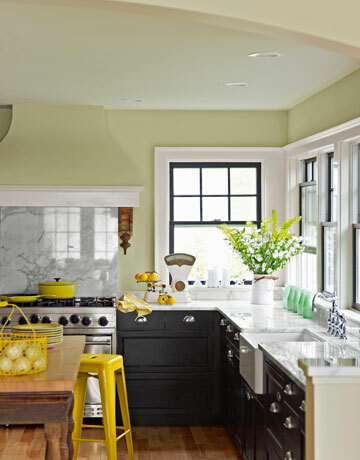 They will often be colorful and use fabrics, farm tables, beams on the ceiling, wood or natural stone floors, warm colors and have that homey/casual/cozy feeling. 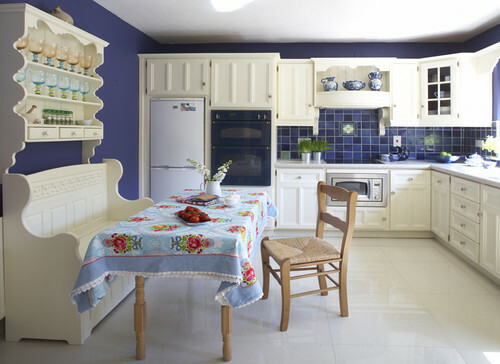 Today Country Kitchens are probably better described as Modern Country or Transitional Country compared to the country kitchens of the past. 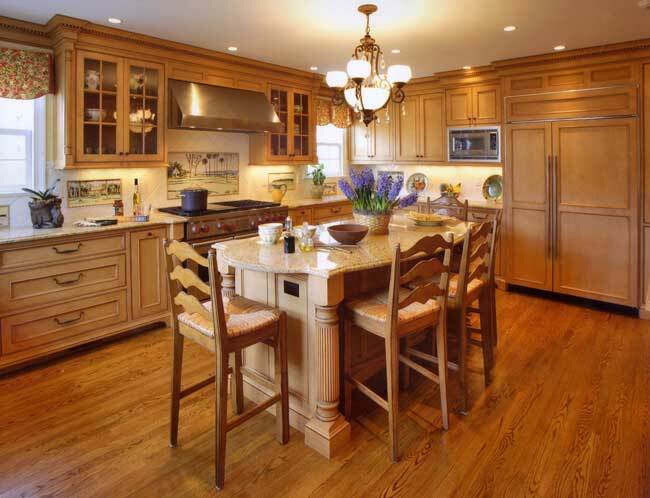 Traditional Kitchen design by Philadelphia General Contractor Current Works Construction Inc.
Is a Country Kitchen your style? 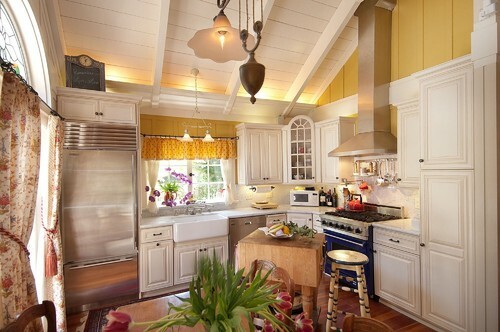 What would you do to update the look?